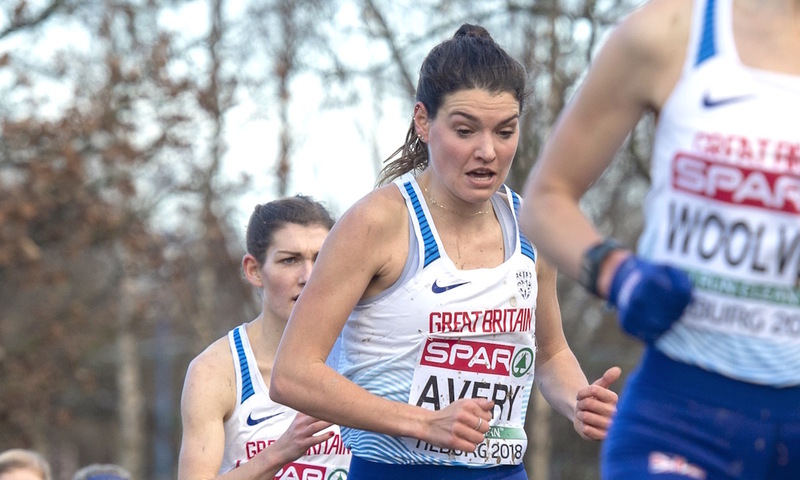 An excellent day of racing at the World Cross Country Championships sees East African athletes dominate and the British senior women finish fourth team. 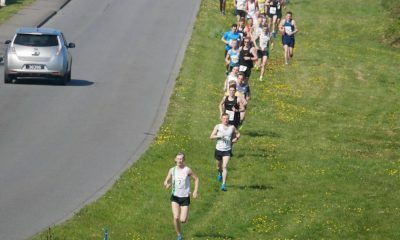 The much feted “toughest ever cross country course” at Aarhus in Denmark did not disappoint with the sight of athletes battling up the man-made hill atop the roof of the museum, which two time champion Geoffrey Kamworor after described as the hardest part of the whole course after battling against a Uganda duo throughout. With mud, sand, hills and water features it was an fantastic event to watch with the five races of the day bringing some great racing. The crowds may have paled in comparison to the huge atmosphere at Kampala last year, but viewing online would have been a large part of the World Cross 2019. From a British and Irish standpoint the greatest results came in the senior women’s race. With Hellen Obiri becoming the first women to win world championships outdoor, indoor and on the cross country the athlete joked afterwards that it was “the only medal missing from my cupboard”. One can only imagine how big a cupboard that is to hold all of the Kenyan athlete’s trophies. 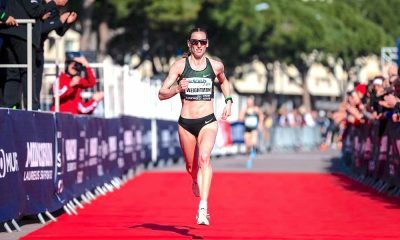 Fionnuala McCormack of Ireland produced an astounding performance just six months after giving birth to finish 18th and second European of the race, with Anna Moller of Denmark also producing an inspired run in front of her home crowd. McCormack is known for her high-level of cross country running and gave the Aarhus course a good showing. Fellow Irish athlete Sara Treacy finished in 73rd position. In his challenge for a third World Cross Country title Geoffrey Kamworor came up against a Ugandan duo with other ideas. Joshua Chepetege and Jacob Kiplimo were both with the Kenyan on the last lap and did not want to give the twice champion an easy ride. After having an 11-second last lap lead disappear in heartbreaking fashion in Kampala last year, Chepetege wanted the last word this time round. Both Ugandans really surged on the museum roof climb to push the race and Chepetege was the stronger of the two during the final lap and took a very deserved first World Croos Country title for Uganda, with his compatriot in silver position. Kamworor settled for bronze on the day. Mahamed Mahamed was the second Brit to cross the line in 44th place and afterwards said “Top 50 is amazing. The aim was to finish there so I’m really happy that I could achieve it”. 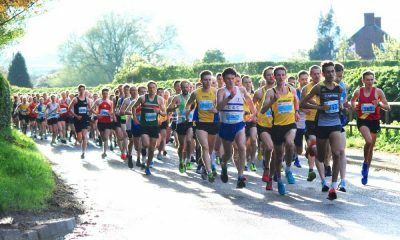 Adam Hickey was not far behind in 51st and next was Oliver Fox (51st), Ross Millington (65th) and Luke Traynor (107th). For Ireland there were tough days out for Sean Tobin in 61st and last year’s Fast 10 athlete Kevin Dooney in 105th place. Ugandan continued to impress with a victory in the senior men’s team event too, the first time since 1980 that a nation other than Ethiopia or Kenyan has won the senior men’s race. There was some drama at the finish line of the junior women’s race with Kenyan Beatrice Chebet celebrating just before the line and the win actually being given to Ethiopia’s Alemitu Tariku and Tsigie Gebreselama getting the silver. Inspection of the finish line video did however look like Chebet had crossed the line first. It was not long until a review had been undertaken and the Kenyan was rightly given the victory, with the Ethiopian athletes in second and third. Remember though, celebrate after that line, unless you’re really sure. Brock was followed home by Amelia Samuels (35th), Becky Briggs (44th), Charlotte Alexander (49th), Eloise Walker (51st) and Olivia Mason (57th). At the front Milkesa Mengesha of Ethiopia took the gold medal in line with the East African dominance of the day. Mengesha surged on the penultimate lap and was clear ahead of compatriot Tadese Worku with Uganda’s Oscar Chelimo in the bronze medal position. Norwegian super talent Jacob Ingebritsen battled with the leaders for most of the race but could barely stand when crossing the line in 12th place and first European. It’s been quite a year already indoors so seeing the world record holder put to the test in such a quality field, and rise to the occasion, was a great sight. 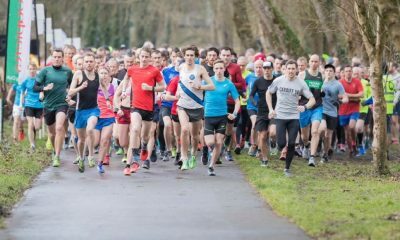 Fellow Brit Rory Leonard was 33rd, Euan Brennan was 50th, Albert parkrun regular Josh Cowperthwaite was 62nd and Zakariya Mahamed was just behind in 65th, setting a mark for his brother in the senior race to follow. The day was started with a competitive mixed relay event, with teams of four taking on loops of the course in turn. It wasn’t until the final lap that any ground appeared between Ethiopia and Kenya at the front, but Fantu Worku absolutely tore apart the race when handed the ‘baton’ (which was actually a wrist band). The racing of the final lap took such a toll on Kenya’s Mbinthe that the Morocco quartet could sneak silver and Kenya had to settle for Bronze. After the all round dominance of the Kenyans in Kampala 2017, the Ethiopians were hungry for revenge and did so in dramatic last lap fashion. Not fair behind the Moroccans was the USA’s quartet but it was a little disappointing that only a handful of European teams featured in the newer format mixed relay event.